Galerie Koo in Hong Kong is reopening its doors with the exhibit SOULS and will show Mirta Kupferminc and Saúl Sosnowski´s art work on Borges and Kabbalah. 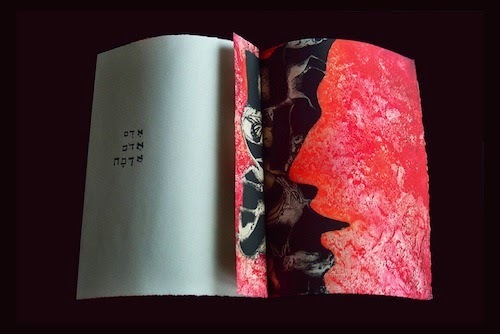 Diego Edelberg will be speaking about the contents of this book "that is not a book"
Jan. 15 - February 25. Galerie Koo, 7/F Vogue Building, 67 Wyndham Street, Central. According to Kupferminc "The magical realism of Borges has a common ground with the thought of Kabbalah. If, according to Borges, the text and its infinite combinations approach the author to a demiurge, for the Kabbalah, the accurate analysis of a particular book – the Bible – potentially holds the key to the creation of the world."